MEDFORD, OR, Nov. 26, 2018 /CNW/ - Grown Rogue International Inc. (CSE:GRIN) ("Grown Rogue" or the "Company"), a seed-to-experience cannabis brand is pleased to announce that the Company's common shares are scheduled to commence trading today on the Canadian Securities Exchange (the "CSE") under the ticker symbol "GRIN". The listing follows the successful completion of the previously announced (November 16, 2018) reverse takeover of a Canadian public company (Novicius Corp.) by Grown Rogue Unlimited, LLC. In connection with this reverse takeover and the listing on the CSE, the Company raised approximately CAD $6.5 million through brokered and non-brokered private placements. A Listing Statement with information about Grown Rogue and prepared in accordance with the policies of the CSE is available on SEDAR at www.sedar.com. As a state licensee in Oregon, Grown Rogue is recognized for its consistently high-quality products and pioneering "seed-to-experience" cannabis branding. Grown Rogue is the first vertically-integrated cannabis company that crowdsources consumer experiences to determine cannabis strain classification by effect, ensuring the Right Experience, Every Time.™ The Company also expects to enter the California market by the end of 2018. Revenues have doubled from the second to the third quarter of 2018, and significant revenue growth is expected to continue as the Company proceeds with its business plan of acquisitions and expansion. Grown Rogue brands are in over 220 dispensaries in Oregon. Cultivating 90,000 sq. ft. of canopy in Oregon including two outdoor farms and a state of the art indoor facility. Planned expansion into California will include a 14,000 sq. ft. micro-business facility in Eureka, CA and a distribution partnership spanning San Francisco to Los Angeles. "Grown Rogue is a trusted brand with a proven track record for delivering reliable and consistent experiences for cannabis consumers," said Obie Strickler, CEO and co-founder of Grown Rogue. "With average consecutive monthly revenue growth of 28% for 2018, we have begun the process to expand operations and jurisdictions to meet increased demand. The public listing of the Company's common shares on the CSE is an important milestone in the development of the Company, as we continue to accelerate our expansion as a national cannabis brand." 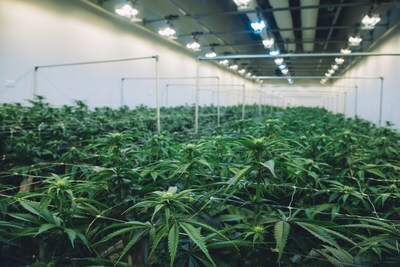 Headquartered in Oregon's Rogue Valley, known for its premier cannabis growing microclimates, the Company operates approximately 90,000 SQ FT of cultivation through both outdoor and best in class indoor facilities. Grown Rogue's diverse product suite includes premium flower, patent-pending nitrogen sealed pre-rolls, oil and concentrates. Grown Rogue also plans to launch dark chocolate edibles featuring a partnership with a world-renowned chocolatier. The Company has an experienced management team, state of the art manufacturing facilities, and a proprietary distribution platform through an exclusive partnership with Microsoft 365. Grown Rogue products are available in more than 220 retail locations today. Multiple licences are held in Oregon, with plans for retail, distribution, and cultivation projects in California, among other legal states. Jacques Habra, Chief Strategy Officer stated, "As we expand into new states and regions, we will continue to maintain the core values of integrity and excellence in product development and community relations that have driven the company to success." Mr. Strickler added, "We're very thankful to our team and shareholders who have supported our growth and helped us accomplish this major objective of becoming a publicly traded company." Grown Rogue International (CSE: GRIN) is a vertically-integrated, multi-state Cannabis brand specializing in "seed to experience" products through an experienced management team, state of the art manufacturing facilities, and a proprietary distribution platform featuring exclusive partnership with Microsoft 365. Grown Rogue's diverse product suite includes premium flower, patent-pending nitrogen sealed pre-rolls and 3.5 g flower jars, oil and concentrate distillates, and most recently dark chocolate edibles featuring partnership with world-renowned chocolatier. Subscribe to Grown Rogue investor news alerts. This press release contains statements which constitute "forward‐looking information" within the meaning of applicable securities laws, including statements regarding the plans, intentions, beliefs and current expectations of the Company with respect to future business activities. Forward‐ looking information is often identified by the words "may," "would," "could," "should," "will," "intend," "plan," "anticipate," "believe," "estimate," "expect" or similar expressions and include information regarding: (i) statements regarding the future direction of the Company (ii) the ability of the Company to successfully achieve its business and financial objectives, (iii) plans for expansion of the Company, and (iv) expectations for other economic, business, and/or competitive factors. Investors are cautioned that forward‐looking information is not based on historical facts but instead reflect the Company's management's expectations, estimates or projections concerning the business of the Company's future results or events based on the opinions, assumptions and estimates of management considered reasonable at the date the statements are made. Although the Company believes that the expectations reflected in such forward‐looking information are reasonable, such information involves risks and uncertainties, and undue reliance should not be placed on such information, as unknown or unpredictable factors could have material adverse effects on future results, performance or achievements of the combined company. Among the key factors that could cause actual results to differ materially from those projected in the forward‐looking information are the following: the potential impact of the announcement of the going public transaction on relationships, including with regulatory bodies, employees, suppliers, customers and competitors; changes in general economic, business and political conditions, including changes in the financial markets; and in particular in the ability of the Company to raise debt and equity capital in the amounts and at the costs that it expects; adverse changes in the public perception of cannabis; decreases in the prevailing prices for cannabis and cannabis products in the markets that the Company operates in; adverse changes in applicable laws; or adverse changes in the application or enforcement of current laws; and increasing costs of compliance with extensive government regulation, and other risks described in the Company's Listing Statement available on www.sedar.com. Should one or more of these risks or uncertainties materialize, or should assumptions underlying the forward‐looking information prove incorrect, actual results may vary materially from those described herein as intended, planned, anticipated, believed, estimated or expected. Although the Company has attempted to identify important risks, uncertainties and factors which could cause actual results to differ materially, there may be others that cause results not to be as anticipated, estimated or intended. The Company does not intend, and does not assume any obligation, to update this forward‐looking information except as otherwise required by applicable law. No securities regulatory authority has in any way passed upon the merits of the proposed transactions described in this news release or has approved or disapproved of the contents of this news release.. This press release may contain forward-looking information within the meaning of Section 21E of the Securities Exchange Act of 1934, as amended (the "Exchange Act"), including all statements that are not statements of historical fact regarding the intent, belief or current expectations of the Company, its directors or its officers with respect to, among other things: (i) the Company's financing plans; (ii) trends affecting the Company's financial condition or results of operations; (iii) the Company's growth strategy and operating strategy; and (iv) the declaration and payment of dividends. The words "may," "would," "will," "expect," "estimate," "anticipate," "believe," "intend" and similar expressions and variations thereof are intended to identify forward-looking statements. Also, forward-looking statements represent our management's beliefs and assumptions only as of the date hereof. Except as required by law, we assume no obligation to update these forward-looking statements publicly, or to update the reasons actual results could differ materially from those anticipated in these forward-looking statements, even if new information becomes available in the future. Investors are cautioned that any such forward-looking statements are not guarantees of future performance and involve risks and uncertainties, many of which are beyond the Company's ability to control, and that actual results may differ materially from those projected in the forward-looking statements as a result of various factors including the risk disclosed in the Company's Form 20-F and 6-K filings with the Securities and Exchange Commission.